Novice::New blank gun shipment is here! New blank gun shipment is here! 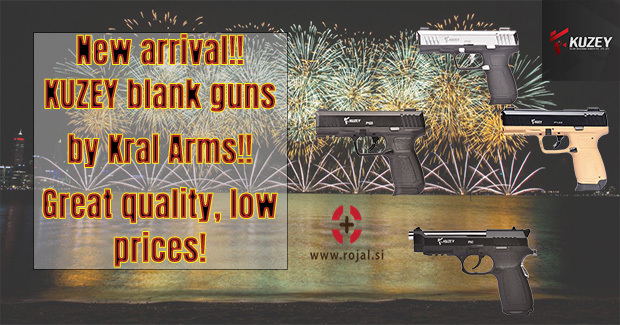 We are glad to inform you that we have finally received the hard anticipated shipment or Zoraki and this years debutant , Kuzey arms blank guns! Kuzey is a blank gun brand by a well known airgun and real gun manufacturer, Kral arms. Their products are of very good quality and they range between Voltran and Zoraki, at Voltran prices. Service is guaranteed by us! We are looking forward to your purchase with us!